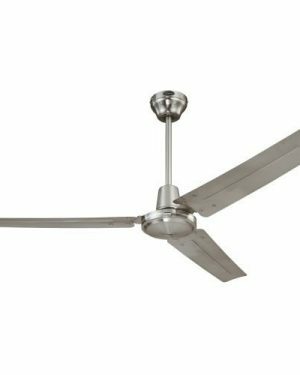 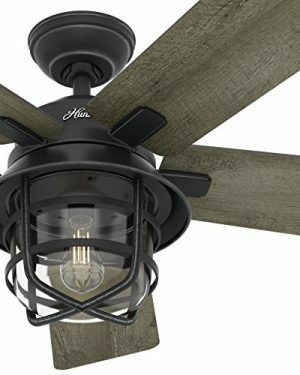 MinkaAire F745 52″ 5 Blade Indoor Ceiling Fan with Integrated LED Light and Remote Control Features: Includes: Five Fan Blades and White Lens Brushed Nickel finish – Silver Blades with Etched Glass Distressed Koa finish – Reversible Medium Maple / Dark Walnut Oil Rubbed Bronze finish – Reversible Medium Maple / Dark Walnut Includes: 6″ downrod Includes: Integrated 17 Watt LED Light (3 Year Warranty) Includes: Remote Control (RC600) Includes: 80″ of lead wire Limited Lifetime Motor Warranty RC600 Full Function Hand Held Remote System: Three speed fan control in forward and reverse On/Off plus full range light dimmer Includes one (1) hand held remote control (RC400), wall holster Wireless remote operation Product Technologies / Benefits: AireControl® by MinkaAire® controls all functions. 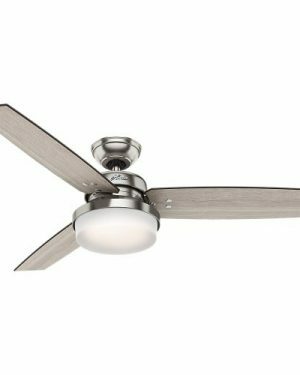 Uplight (where applicable), reverse, fan light, speed control and also off-on. 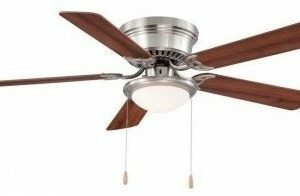 Specifications: Motor Size: DC 172mm x 12mm Fan Speeds: 6 Height: 12.5″ (measured from ceiling to bottom most point) Blade Sweep: 52″ Blade Pitch: 12° UL Rating: Dry Location Airflow on High: 5000 CFM (cubic feet per minute) Watts on High: 30w Voltage: 120v Optional Accessories: A245 Slope Ceiling Adapter (SCA) WC600 Six Speed Wall Control Various downrod sizes Compliance: UL Listed – Indicates whether a product meets standards and compliance guidelines set by Underwriters Laboratories. 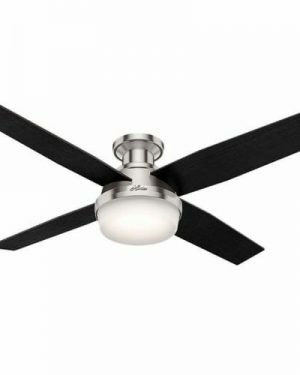 This listing determines what types of rooms or environments a product can be used in safely.